Big news on the Twin Peaks revival front: On the heels of Showtime's announcement that Sherilyn Fenn will reprise her role as Audrey Horne comes the news that two-time Oscar nominee Laura Dern is joining Twin Peaks' return, which is confirmed to debut next summer. 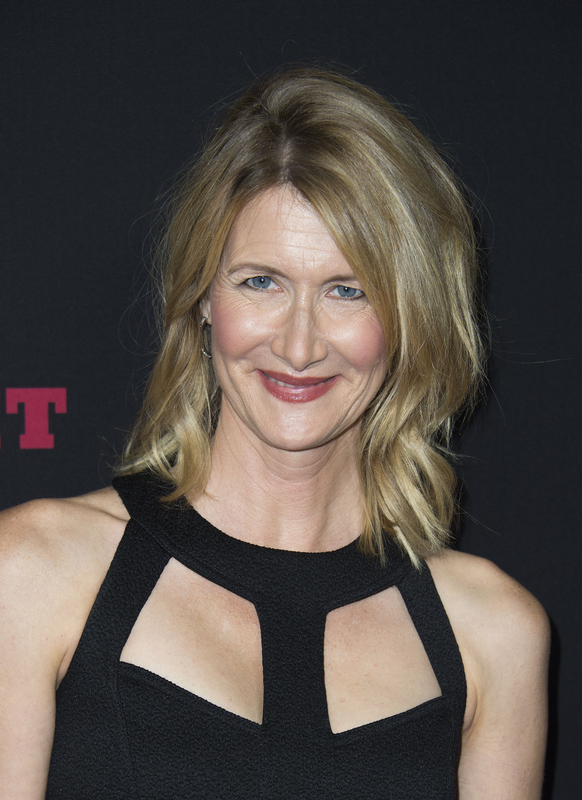 According to TVLine, co-creator David Lynch, who will direct every forthcoming episode of the show, has cast the Fault in Our Stars actor in a "pivotal role" — and TVLine suggests that she could be playing Agent Cooper’s secretary Diane. Whoever Dern plays, It won't be the actor's first collaboration with Lynch — he previously directed her in 1986's Blue Velvet, 1990’s Wild at Heart and 2006’s Inland Empire — but it might be the duo's most exciting one yet. While Showtime has remained tight-lipped when it comes to updates about the revival, there has been plenty of speculation since the announcement was made in October 2014 that Twin Peaks was coming back to life. So far it's known that Lynch wrote every new episode with his original co-creator Mark Frost, and that the series is not a reboot, but, according to Variety, will pick up in present day where the original left off. While it was originally slated for a nine-episode limited run to debut this year, which marks the 25th anniversary of the series' end, it was announced in November that Twin Peaks was pushed back to 2017. As for whether the limited run will continue into an ongoing series, Frost told Variety in the same 2014 interview, "The proof will be in the pudding. If we have a great time doing it and everybody loves it and they decide there's room for more, I could see it going that way." Last month, Showtime released a teaser that confirmed both the series' lRachel Simonocation and theme. The 50-second clip, narrated by Michael Hoarse, who will reprise his role as Deputy Hawk, contains mostly aerial views of Washington state, where the series is currently filming. Casting-wise, there are a few other details already known. Although the only actor confirmed from the original Twin Peaks series to return is Kyle MacLachlan, who played Special Agent Dale Cooper, Sheryl Lee, who played Laura Palmer, was also spotted on set. (Sadly, Catherine E. Coulson, who played the Log Lady, was set to reprise her role as well, but passed away from cancer in September.) As for others, Amanda Seyfried, Balthazar Getty, Jennifer Jason Leigh, Robert Knepper, and Bailey Chase are all confirmed to join the exciting cast. The highly-anticipated series joins a long list of upcoming '90s reprisals, from Netflix's Fuller House, which will debut at the end of next month, to the Fresh Prince of Bel-Air reboot executive producer Will Smith is currently shopping around to networks. It might be nostalgia overload, but with a TV listing like that, who can complain?